Last year my theme was places I have traveled. The list is fairly long. I am a veteran of the US Navy, and I completed two Mediterranean Cruises while serving. In addition, I had a great job traveling all over the world for a a few years. To top it all off, I married a person who loves to travel. Everything from weekend road trips to week long cruises. Sometimes, we look for, lets inexpensive, accommodations while on these said trips. Other times my job paid for the sleeping quarters. Now I wanted to list some of my favorite hotels that I have stayed in throughout the world. 5. The Doubletree hotel in Charlotte NC. Not because it was a super nice hotel or a 5 star place. Because I was upgraded to a 2 room suite because the rest of the hotel was under construction. I also learned that if you have ever forgotten your cell phone charger, you should ask the front desk. People leave them in the rooms all the time. 4. Kempinsky Lufthansa Center, Beijing. Nice place. Very friendly staff, and it was real close to Durty Nellies. 3. The Lenox Hotel, in Boston. Leopard skin nightwear in the room. Need I say More? 2. Hilton Properties. This may seem a little different. For the most part, I am always treated well and the rooms have always been clean. 1. Home---There is no bed anywhere in the world as comfortable as the one I have at home. I love to travel, and would take another job with travel it it presented itself. I love the adventure in going to new places and seeing different things. I am always ready to come home and be with the family. Have you traveled a lot? 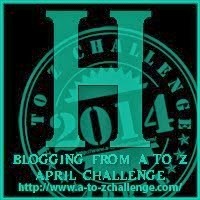 I know there are several of you in the A to Z challenge with a travel theme, what are some of your favorite hotels?